The deadline has now passed! Thank you to all who submitted proposals. 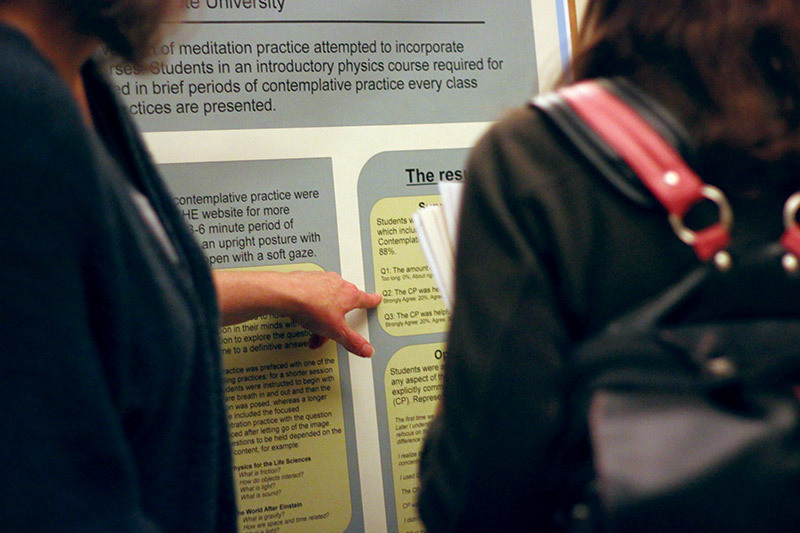 Proposals must indicate a session type: practice, interactive, panel, or poster. Please refer to the session descriptions for more information. The submission deadline is [was] Monday, May 18, 2015 at midnight EDT (-04:00 UTC). Proposals will be reviewed and selected by the conference committee. The conference committee will begin reviewing proposals after May 18. We originally intended to send notifications of proposal acceptance by June 9. However, due to the large number of proposals received in response to this year’s conference theme, we have extended the proposal review period. We hope to send notifications in the third or fourth week of June. All presenters must be members of the Association for Contemplative Mind in Higher Education and become paid registrants of the conference. If you are accepted as a presenter, but are not yet an ACMHE member, you may join before the conference. 60-Minute Interactive Sessions allow opportunities for presenters to share research and methodologies in ways that engage the session participants and model contemplative modes of inquiry. They may feature one or more lead presenters incorporating a variety of interactive methods (dialogue, guided discussion, etc. ), with minimal time spent in lecture-style presenting. Interactive sessions may also take the form of a roundtable discussion in which the organizer proposes a concept, approach, or issue, and participants are invited to share in an open inquiry. Audio-visual equipment, including digital projector and screen, may be requested.